When considering the basics of The King’s Speech, there’s really nothing particularly alluring about it. It’s a period piece about a Duke with a stutter. Yes, that’s basically true, but there’s more to this film than can ever be conveyed in even the most detailed synopsis. The combination of spectacular performances and masterful direction turns this story into an all-consuming emotional experience. Based on a true story, Colin Firth stars as Albert, the Duke of York. As the son of King George the V (Michael Gambon), Bertie (the nickname used by his family) is required to speak publicly quite frequently. The problem is, Bertie has a speech impediment; he stammers. He’s seen a number of speech therapists, but nobody’s been able to fix the issue or get a handle on the Duke’s poor attitude. The only one able to quell is frustration is his wife Elizabeth (Helena Bonham Carter), who refuses to let him succumb to his stammer. She finds an Australian speech therapist, Lionel Logue (Geoffrey Rush), whose treatment involves rather unusual methods and decides to put the Duke in his care. The men bump heads right from the start with their first meeting coming to an abrupt end when Bertie blows up and storms out of the room. However, Bertie slowly begins to open up to Lionel and just in time too, for his older brother’s (Guy Pearce) antics will have the Duke in the royal spotlight much more and far sooner than he ever expected. It’s that time of year again; time to look back on the year passed and recognize the best of the best. It seems every year we complain the crop of movies isn’t up to par, but then the time to compile a list of the best of the year arrives and it’s increasingly difficult. This year gave me a particularly tough time thanks to my latest endeavor: film school. Over the summer, I decided to take my passion for film one step further and enroll in Columbia University’s Film MFA program. It didn’t take long for the education to collide with my work. As I learned more about the filmmaking process, my perception in the theater started to change quite drastically. Misused techniques began to bother me, poor camerawork became as distracting as ever and too much exposition in the dialogue made my blood boil. Last year I strove to keep my list as entertainment-based as possible. My top ten films of the year consisted mainly of selections that I’d watch over and over again without hesitation. Well, this year is different – slightly. While I’ve tried to keep my focus on films that simply made going to the theater a downright joy, what made this activity enjoyable for me changed a bit. With that being said, here are my top ten films of 2010, the purely fun, the poignant and simply well made. 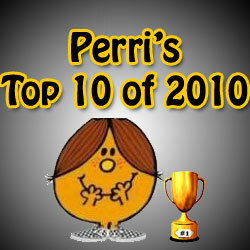 Click here to see my top ten films of 2010. 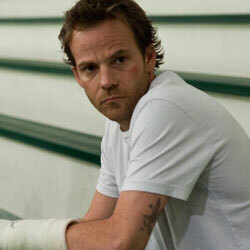 It’s nice to find a filmmaker with good intentions, but there’s just so far the intent alone can get you. Writer-director Sylvain Chomet aims to conjure up quite a degree of emotion in his nearly dialogue-less, animated 80 minute film, and while he comes close to making a powerful impact, winds up falling flat thanks to a key facet missing from his movie – entertainment. Life is rough for The Illusionist in Paris in 1956. Nothing he pulls out of his sleeve or his hat can draw a crowd quite like the rising rock bands. The theater is packed full of screaming girls drooling over the glammed up boys in the band, but the moment The Illusionist takes the stage with his trusty, but testy rabbit, the place empties out. He’s got no choice but to take his show on the road to try to find a crowd that appreciates his magic. The Illusionist tries to sell his act at theaters and parties, but it isn’t until he winds up in a small pub in Scotland that he finds someone who’s completely taken by his show, a young local named Alice. When The Illusionist decides it’s time to move on, he heads to Edinburgh with Alice secretly in tow. Once there, the two immediately fall for each other – Alice for The Illusionist’s magical abilities and The Illusionist for her interest – and the two begin to form a father/daughter relationship. However, Alice can’t stay a little girl forever and The Illusionist’s acts begin to pale in comparison to Alice’s new beau. 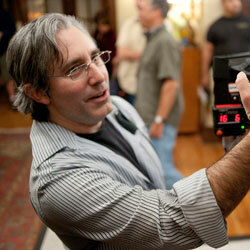 Director Paul Weitz has a ton of pressure on him with his latest film, Little Fockers. Not only does he have to manage a massive top-notch cast, but he’s also the guy who has to take the reins from Jay Roach, the man who helmed the first two films that grossed over $330 million and $516.6 million worldwide, apiece. But Weitz is the guy responsible for critically acclaimed films like About a Boy and In Good Company and he certainly has experience managing an ensemble cast and dealing with some pretty raunchy material thanks to his very first feature, American Pie. Little Fockers was right up his alley. This time around the action takes place in Greg and Pam’s (Ben Stiller and Teri Polo) hometown, Chicago. They’re about to throw a big birthday party for their twins and the whole family is coming for the occasion. Well, everyone except Greg’s dad, Bernie (Dustin Hoffman), because he’s busy studying the Flamenco in Barcelona. As much as the kids want their grandfather to be there, one less person might not be a bad thing because Greg is already trying to deal with the usual pressure from Pam’s father, Jack (Robert De Niro), her ex, Kevin (Owen Wilson), trying to get the kids into the esteemed Early Human School and attempting to promote the erectile dysfunction medication for the beautiful drug rep Andi Garcia (Jessica Alba) without Pam questioning his motives. There’s a lot going on in this film and there was a lot going on on the set as well. While Weitz was thrilled to be working with John Hamburg on the script, a significant amount of material came naturally, through improvisation. Unfortunately, with so much on-set inventing came many more cuts in the editing room. Check out what Weitz had to say about guiding his cast while still giving them their freedom, what didn’t make it into the film, but will be on the DVD and much more. I was really looking forward to making a joke about Teri Polo being the “Motherfocker” to Ben Stiller’s “The Godfocker” in this piece, but not only are the “fock” jokes completely overdone at this point, but Polo was a bit under the weather and couldn’t attend the Little Fockers press day. However, on the bright side, that did mean the press got the Byrnes family matriarch, Blythe Danner, all to ourselves. In the third installment, Dina Byrnes is back and ready to do whatever is necessary in order to insure her husband Jack (Robert De Niro) and son-in-law Greg (Ben Stiller) play nice. She and Jack travel to Chicago where Greg and Pam are preparing for their twin’s birthday party. While they rush to set up for the bash, attempt to get the twins into the prestigious Early Human School and Greg tries to make an extra buck promoting the erectile dysfunction medication Sustengo, Dina is busy considering more of Roz Focker’s sexual advice. Danner may have been unexpectedly flying solo during this press conference, but she certainly had no problem fielding all of our questions. In fact, she wanted more. Danner took the time to address everything from returning to the franchise to the pressure of showing off Dina’s more sexual side and much more. Take a look for yourself below. Owen Wilson is a busy guy, particularly this month. Not only was he busy promoting How Do You Know, but this weekend’s release Little Fockers, too. Right after the Little Fockers press conference, Wilson bolted to promote How Do You Know and then came back to talk Fockers. All it took was a little Sports Center, a bowl of oatmeal and some fruit and Wilson was ready to go. If you think you know his character Kevin, think again. Wilson did have some screen time in Meet the Parents and Meet the Fockers, but here, his role is exponentially larger. After a failed marriage proposal, Kevin decides to travel to Chicago where Greg and Pam (Ben Stiller and Teri Polo) are throwing a birthday party for their twins. Sure enough, Kevin gets a little too close for comfort, making Greg increasingly concerned that Pam’s ex-flame is going to move in on his territory. As eager as I was to ask Wilson everything and anything Little Fockers, so was he to get my take on the film and on his character in particular. Regardless, there was still tons of time to discuss everything from Wilson’s mini make-out session with Barbara Streisand, his bright blue unitard, his hopes for the future and more.